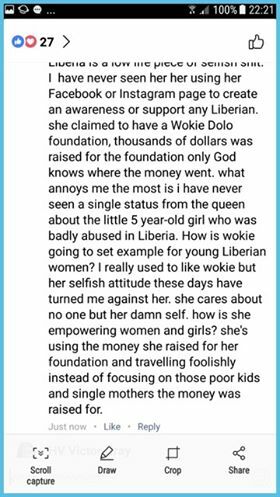 In a lengthy Facebook post, Miss Liberia, Wokie Dolo addressed attacks on her character. The post below has been circulating Facebook for the last few weeks. I have seen the circulation of my name on social media over the past week. Here are things that I will like to address publicly in the eyes of every Liberian ! As a public figure, I deserve respect both in and out. Our people have the mindset of pulling people with potentials down for reasons that are undefined. Upon my journey to pageantry I have received lots of unnecessary insults which never stopped me from pursuing my goal. I asked God for a Crown and he Crowned me! I have been crowned twice without financial reward yet I still performed my duties and responsibilities that I personally outlined. As it relates to the current situation, I haven’t received any funds from the Liberian government nor the organizer from the night I became Miss Liberia up to today’s date. I started my reign with no budget and uplifted the flag of Liberia positively. I have undertaken projects and contributed to society through my personal account. 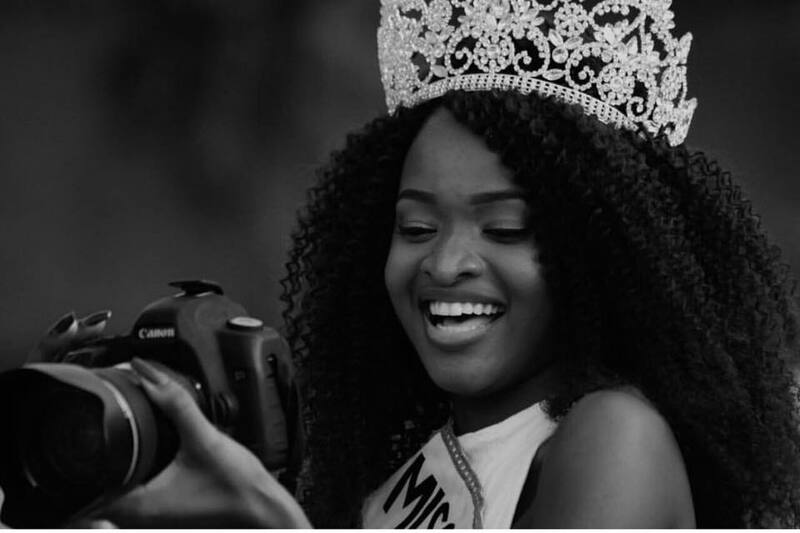 With the help of God, my Manager, Sponsors and my team, we’ve been able to redefine the role of Miss Liberia through our positive contributions towards the growth and development of Mama Liberia. I launched a Gofundme, which was shared numerous times but nothing was donated by unknown individuals. My goal was to raise 50 thousands to enable me Represent Liberia internationally. Donations made to the Gofundme was from immediate friends, family and myself! I sometimes donated and used different names to encouraged people to donate yet nothing was done! My manager paid for my license fees to all the International Pageants I went to without government intervention. I went to those pageant with personal preparations by providing my own Costumes and everything a beauty queen needs. Of all I have experienced, I decided to help my incoming successor by opening an “Endowment Fund” to help her with a starting Capital because there’s no budget for Miss Liberia. We sent many letters out for sponsorship. 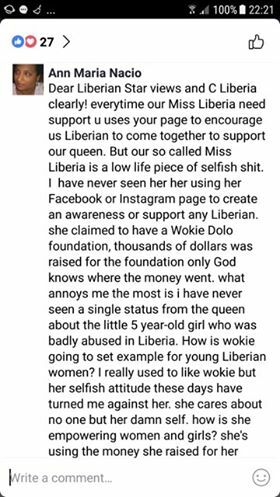 Our target was to raise 50k to establish Miss Liberia Office, Pay for International License to enable her go to Represent Liberia on the International stage as well as her Costume, but unfortunately we were only able to raise 3000usd which couldn’t covered 1/3 of our expense. Secondly, I have been working with less fortunate kids since I was 15 years old. I’ve sponsored persons with disabilities, youths and orphans from my home of origin and across without a Crown. I don’t have to be rich before giving out to my people. I have shared every little I have had with them because we all deserve happiness! I’ve inspired thousands of people through my humanitarian services. My tours and other trips has been sponsored by my Manager not Liberian Government. The Month of January was set aside for personal reflections. I am a human and I have my personal priorities like anyone else. 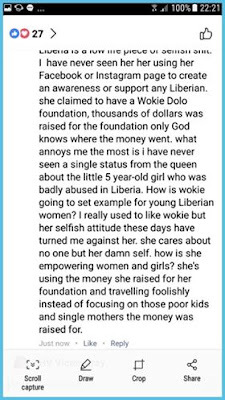 About the little girl that got burned by her parents if I am right, I came across that story few days ago on the Liberian Star View Page which of course I commented with a caption of sorrow, by not sharing or donating to her Gofundme doesn’t mean I don’t care! Social media gives us three options which include: comments, like and share and I comply to one of the given options. Please stop accusing me falsely on things that are not in anyways associated with my character. Thanks to all of you who have understood my struggle and believe in my journey, I truly appreciate your support in all dimensions. People will based on assumptions to create conflict among us but our thoughts on things will set us free. Thank you!